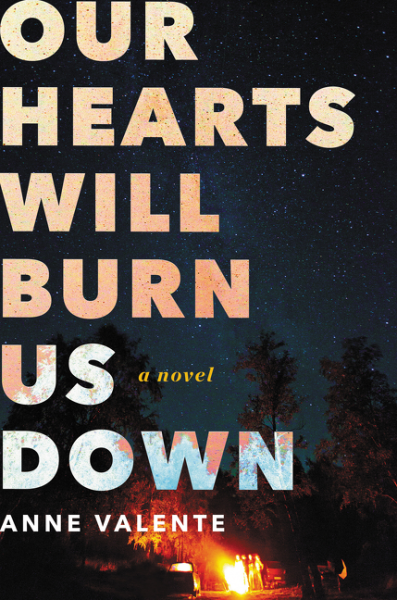 On Tuesday night, The Booking Mamas met to discuss OUR HEARTS WILL BURN US DOWN by Anne Valente. This novel centered around a school shooting; and in hindsight, it might not have been the best selection to read over the holidays. I am sorry to say that it wasn't a big hit with my book club. Only a few of us actually read the entire book -- again, maybe because of the timing and subject matter? And those of us who did finish the novel had some very different opinions about the book. Having said that, because there were many different opinions, I thought we had a solid discussion about both the book and the writing. Most of us didn't love OUR HEARTS WILL BURN DOWN. A few didn't like the writing style, a few didn't like the subject matter, one didn't like the characters, and most didn't like the ending. Although what was extremely interesting is how much we differed on what we liked and didn't like about the novel. Two of our members just thought the book was way too long and didn't like the author's lack of quotation marks, while one of us didn't mind the writing and actually found it to be the right tone for the book. For those of us that actually finished the book, we did agree on one thing -- we were disappointed with the ending. It's going to be hard for me to say much about this without giving away some major spoilers, but I think I can best sum it up by saying that the book took a turn that was almost too "out there." So much of the novel (really all of it) explored loss and grief on an extremely personal and authentic level... and then the book kind of went all metaphorical on us. I can say that I appreciated both the story and the writing and thought the author did a terrific job in exploring the all encompassing feelings of grief. I don't know if I'd go so far as to say I loved the book because it was a challenging read for me at times, but I did appreciate what the author was trying to do. I will provide more of my thoughts in a later review. 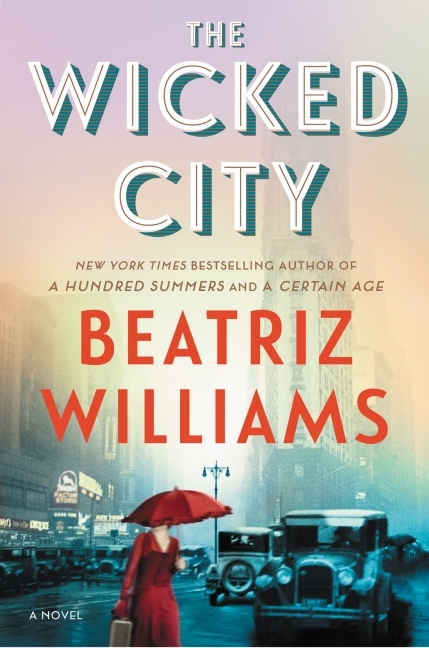 Next month, we will be reading THE WICKED CITY by Beatriz Williams. I adore this author and was thrilled when our book club selected this novel! This will be the last book we read as part of the Book Club Girl Program, and I can't express how grateful we are to the fine folks at William Morrow for providing us with books for the past year! Summary: New York Times bestselling author Beatriz Williams recreates the New York City of A Certain Age in this deliciously spicy adventure that mixes past and present and centers on a Jazz Age love triangle involving a rugged Prohibition agent, a saucy redheaded flapper, and a debonair Princetonian from a wealthy family. When she discovers her husband cheating, Ella Hawthorne impulsively moves out of their SoHo loft and into a small apartment in an old Greenwich Village building. Her surprisingly attractive new neighbor, Hector, warns her to stay out of the basement at night. Tenants have reported strange noises after midnight—laughter, clinking glasses, jazz piano—even though the space has been empty for decades. Back in the Roaring Twenties, the place hid a speakeasy. School shooting books can be tough to read but I can see how they'd be good for discussion. The lack of quotation marks would drive me crazy.